​WELCOME TO MUSCLE TONE BULLYS. WE ARE AN INTERNATIONAL FACILITY LOCATED IN USA MICHIGAN, BUT WE HAVE KENNELS ALL OVER THE WORLD. 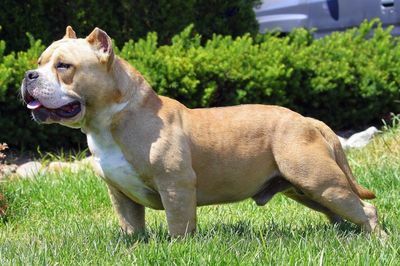 AMERICAN BULLIES WITH LARGE BLOCK HEADS, THAT ARE SHORT, STOCKY AND COMPACT, WITH MUSCLE TONE AND LARGE BONE LIKE NO OTHERS HAVE DONE AND WITH THE PERFECT TEMPERAMENT. WE BREED FOR INTELLIGENCE AS WELL AS CONFIRMATION. OUR BLOOD CONSISTS OF 100% MUSCLETONE. OUR DOGS MEET ALL ABKC STANDARDS. WE HAVE BULLY'S IN ALL COLORS FROM BLUE , FAWN TRI COLOR , BLACK CHAMPAGNE AND CHOCOLATE. THEY ARE AGILE, FIT & ENERGETIC, AND LOVE TO PLAY. THEY ARE GREAT WITH CHILDREN AND OTHER DOGS. OUR DOGS LIVE IN OUR STATE OF THE ART FACILITY. THEY ARE WELL MANNERED AND TRAINED; SOME HAVE COMPETED IN WEIGHT PULL, AGILITY, POLICE PROTECTION, AND DOG TRACKING. THESE DOGS CAN DO IT ALL AND WE WANT TO SHOW THE WORLD JUST WHAT THIS BREED IS CAPABLE OF. PEOPLE CALL AND AS , "HOW DO YOU GET YOUR DOGS SO THICK?" "WHAT DO YOU FEED THEM?" ​AND THE ANSWER IS SIMPLE, "GENETICS." American Bully is a dog that was created in the late 20th century. They are often mistaken as an american stafford shire terrier, and although the breed is descended from american stafford shire terrier, they do not conform to the american stafford shire terrier breed type. There is a kennel club, called the American Bully Kennel Club, that is dedicated to American Bullys. The American Bully, which is a new breed was created from various bull breeds. This breed has been established since 1990, it was created to give a new direction and outlet for the breed. All the positive characteristics of the breed used were kept, like loyalty, stability with humans, and other impressive physical attributes. The traits of dog aggression and gameness were bred out of the breed, because the breed had no future purpose for those traits. 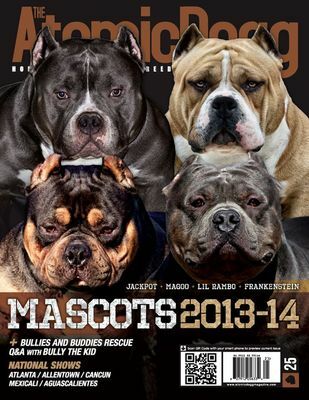 A new style of breed was formed and is now promoted as the "American Bully". This breed still carries the ancestry of the "american stafford shire terrier" and other bull breeds and still has to deal with the reputation of that breed; but this is not the same breed. The event such as this are showing the world why this is a great breed, and changing public perception in mass numbers. 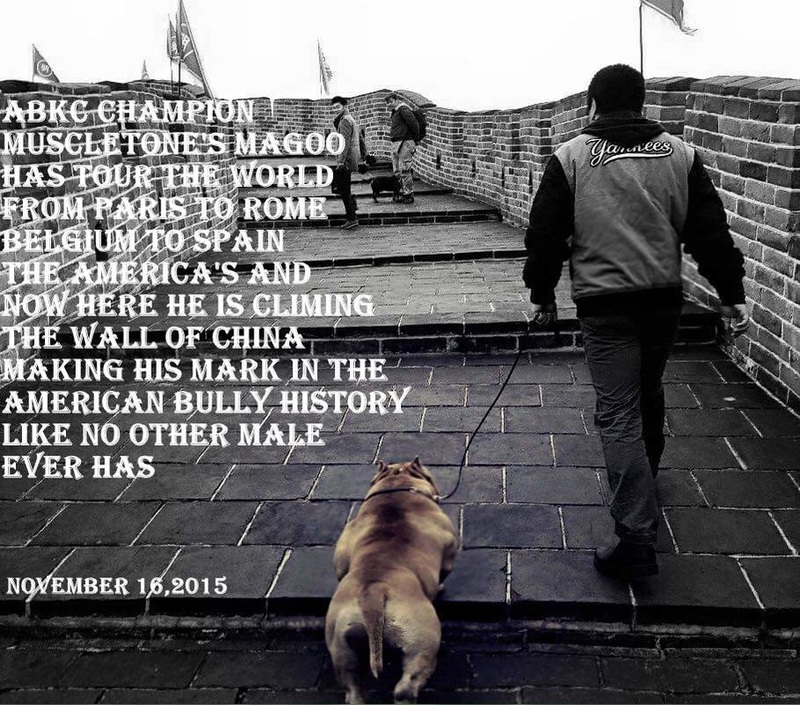 These types of events help educate the public on the American Bully and why it is a great breed, and it also helped to break down negative stereotyping of both the breed and people.